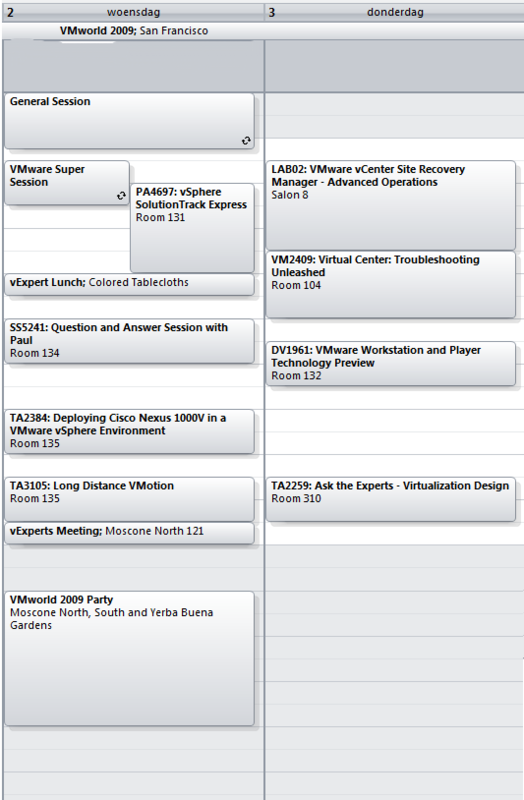 I’ve picked up the laptop again in preparation for VMworld ’09, and have built my schedule today. 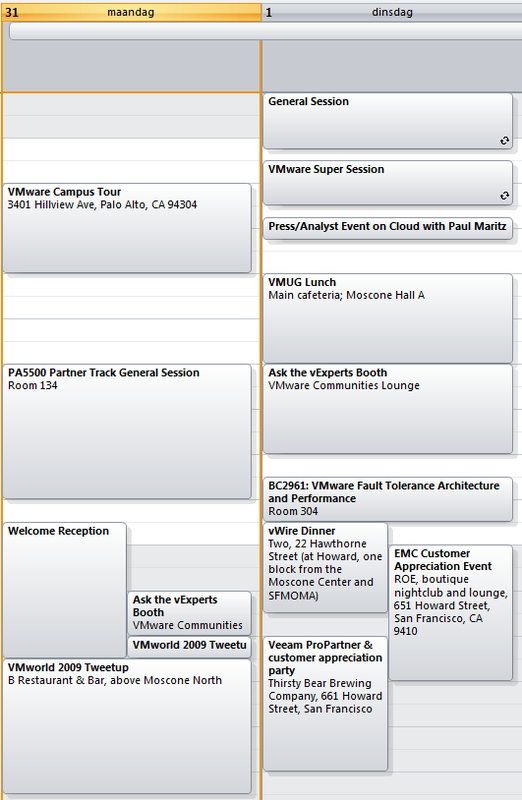 Yes, I know, that’s incredibly late, but promised the girlfriend a PC-less vacation… Let me begin by showing you my schedule, which is bound to change completely over the course of this week. Expect the blogpostcount to go up again this week, as I’ll be blogging and capturing videos all week!